Last week, we told you what kind of districts purchase GovPilot. This time, we are telling you how they do it. 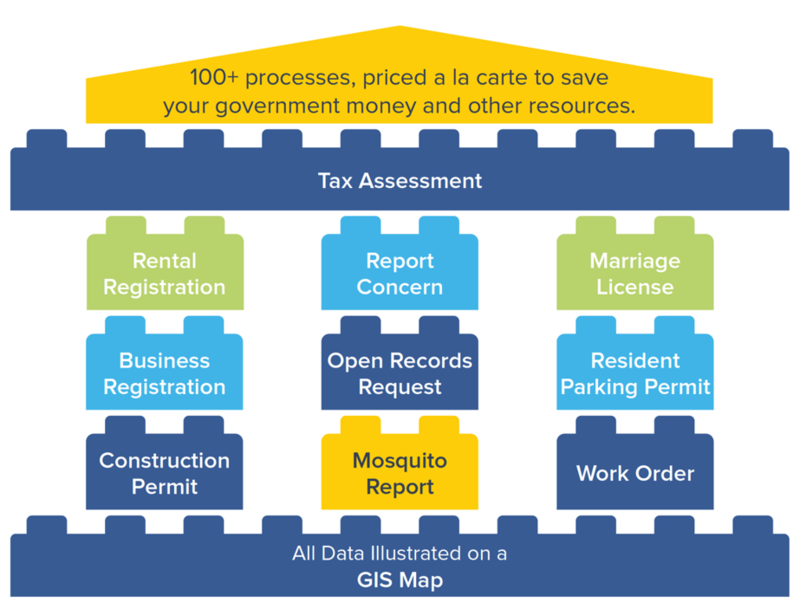 GovPilot offers 100+ modules—automated versions of routine local government processes. Each one is strong enough to serve as a standalone solution and flexible enough to function as the foundation for further innovation. Pricing is determined by the number of parcels in your district as well as the number of modules selected. So, where should you begin? Your GovPilot starting point really depends on your biggest pain point. Ask yourself: What is the most common reason for constituents’ phone calls? Which tasks do staff members spend the most time performing? Although the platform is designed so that you can start with virtually any module, many clients take advantage of our Starter Package: popular Code Enforcement modules, Report a Concern and the GovAlert mobile app plus our state-of-the-art geographic information system (GIS) map, bundled into one affordable solution. Code Enforcement not the first department on your automation prioritization list? Other clients find our Open Records Request module to be a good jumping-off point. No matter which modules you purchase, they’ll fit together seamlessly in the cloud to promote cross-department collaboration. Before disparate departments can work together, our team will work with yours during the onboarding phase. Generally speaking, there are two types of new GovPilot clients: those looking to ditch antiquated paper-based processes for digital automation and those looking to ditch a competing government management platform. We advise those in the former camp to ensure that all legacy data is clean and organized prior to onboarding. This will significantly cut time spent configuring your system. Your designated Customer Success Team will send links to tutorials and schedule in-person visits to train employees to use GovPilot. It’s not a long process. Features like the Dashboard homepage and color-coded GIS map layers make GovPilot easy to navigate. If and when additional questions arise, customers can count on members of their Success Team to reply to their calls and emails in five-star fashion. Those leaving both paper-based and competing system behind will be glad they did! Schedule a demo to learn more about GovPilot.